Though Antalya is not blessed with a huge selection of traditional museums, many of its sites of historic interest might loosely be considered open-air museums, by the range of interesting visual material they offer visitors. Those looking for venues adhering to the traditional definition of a museum will find the Antalya Museum and the Alanya Museum of Archaeology among the best of the modest selection on offer. These cultural highlights trace the city's history through interesting exhibits that will appeal to all ages. 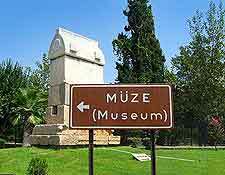 Situated close to the entrance to the Damlatas in the nearby town of Alanya is the Museum of Archaeology, a facility displaying a large collection of ancient objects from various historical periods. From the prehistoric age there are ceramics and idols, while from the Phrygian period there are bowls, parts of weapons and bones. There are also pieces from the Bronze, Roman, Hellenisitic and Byzantine periods on show. The city's only major museum is home to a collection of displays and exhibits, featuring items from various different historical eras that were found in and around Antalya. 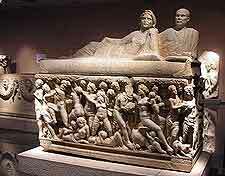 Included among the artefacts are Roman sculptures, coins of Greek and Roman origin, and ethnographic pieces from Ottoman times. Antalya Museum is split into various themed sections and include a prehistory section, the Gallery of the Gods and the Sarcophagus Gallery. 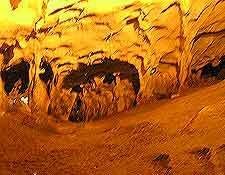 The museum at the Karain Cave, located 27 km / 17 miles from the city, is small but impressive all the same, with its displays of archaeological finds from the Lower and Middle Paleolithic eras. This popular attraction is actually to be found on the very same site that yielded the finds on display, and experts say it was once inhabited by prehistoric men. Part of the same facility as the Archaeology Museum, the Ethnography Museum is based in an adjacent building and is home to a collection of pieces dating from the Seljuk, Beylik and Ottoman periods. Among the most notable items on display are Ottoman carpets and a coin collection, the latter featuring pieces dating to ancient Greek times. This house is best known for providing hospitality to the Turkish Republic's founder, Mustafa Kemal Ataturk, during his visit to Alanya on 18th February 1935. The building was donated to the Ministry of Culture for use as a museum by Rifat Azakoglu, its former owner. On the ground floor, visitors can view a variety of objects and documents relating to Ataturk, including photographs and personal belongings. The Suna and Inan Kirac Kaleici Museum is to be found within the very centre of the city's historical Kaleici quarter and lies next to the Hesapci Sokak. This beautiful mansion has been completely restored and inside you will discover a series of lifelike dioramas and Ottoman treasures. The exceptional Turkish ceramics in the adjacent former Greek Orthodox Church of St. George (Aya Yorgo) may also be of interest.